...The sky is blue! Here is a "must-have" azure jewel for the collector of true blues. Light cerulean blue flowers with exuberant ruffles and broad 11 cm-wide falls. From its parent "Yaquina Blue" it has inherited vigour and a long flowering season with 9 buds and discreet pale yellow beards. 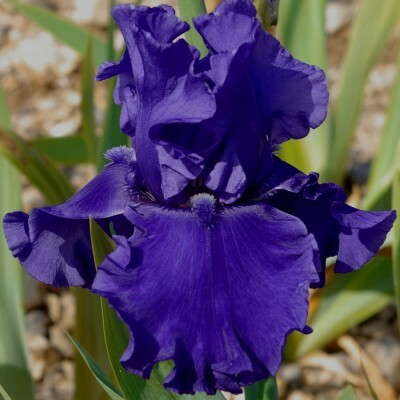 Dark beauty and a son worthy of our excellent creation "Mer du Sud", "Java Bleue" is of an even more intense and perfectly unified blue - including the beards. The medium-sized flowers are pleasantly but not excessively waved. Numerous buds per stalk, at least 10, ensure a long flowering period. Quite compact foliage. 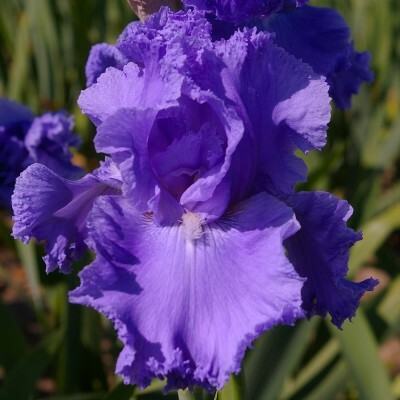 The sturdy moderately ruffled flowers are a charming, totally plain, light blue-violet. Numerous flowers produced on perfect stems (up to 10 buds on each). Light blue-violet beards tipped yellow. Exceptionally vigorous, it rapidly forms big clumps. What's new in "Cape Perpetua"? Not its colour: light and plain blue with white beards, but its shape: both standards and falls show lacy, frilly edges and this is unique in its category. 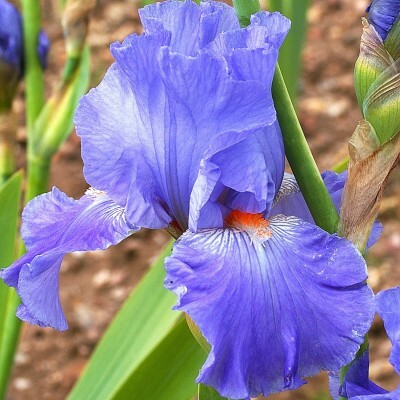 A really charming blue iris! A very attractive solid light to medium blue with bright tangerine beards. 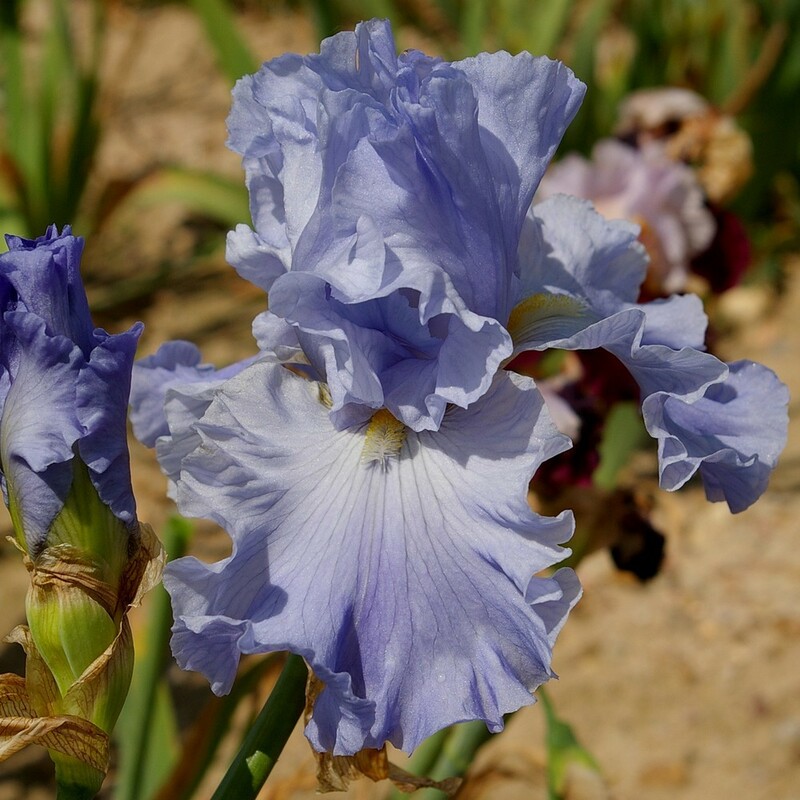 This iris is a descendant of "Princesse Caroline de Monaco" and "Eau Vive", both blue with tangerine coloured beards. Medium sized flowers with a lovely shape. We feel that the pureness of tone compensates for the relatively small number of buds (6-7 on average).